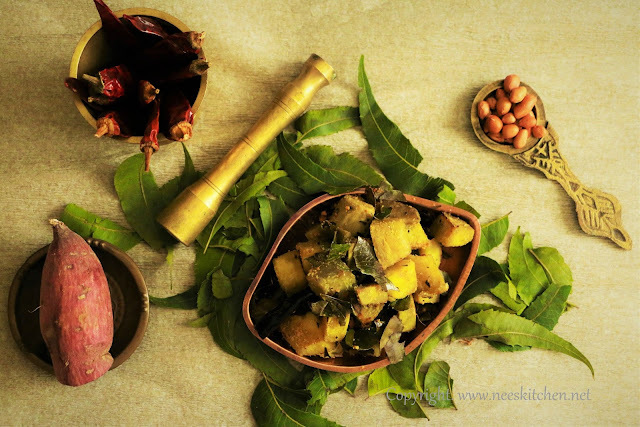 Neem & Sweet potato have extreme differences in taste but have innumerous health benefits. 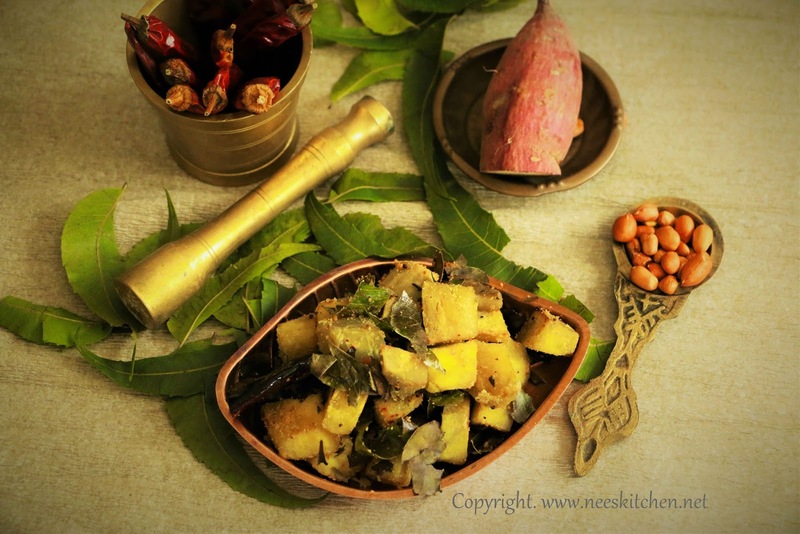 Hence let’s combine them into a single healthy dish by making a simple Sweet Potato & Neem vegetable curry. The vegetable curry’s flavor is further enhanced with roasted peanut powder. The dish is definitely sweet & bitter with bitterness slightly overriding. Consuming neem leaves at least weekly once or twice is very good but we do not have much recipes using them. The only dish which I am aware of using neem leaves is "Neem Begun" - a Bengali dish which is a combination of eggplant & neem leaves. I tried it and liked it but thought it might not be preferred by all age groups. Hence I decided to give a twist by replacing eggplant with sweet potato. I also enhanced the flavor by adding roasted peanut powder which is completely optional. 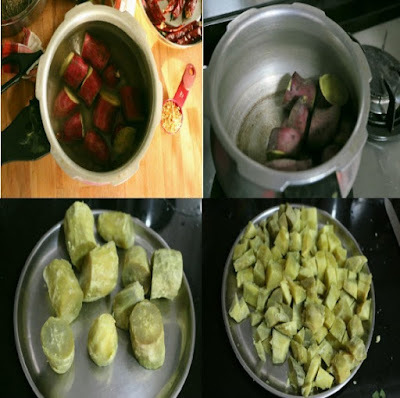 Sweet potato can be consumed by all age groups and there is also no restriction for diabetic people. 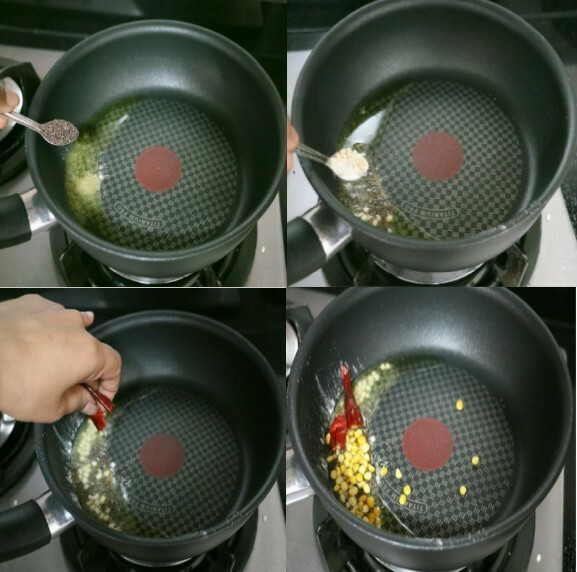 For this dish it is just good to steam them for 1 pressure or 6 minutes whichever is faster. The sweet potato should not be over cooked else they would become a paste while cooking. Just add enough water while using them in pressure cooker. Purple sweet potato can be used instead of regular ones. Neem on the other hand, must be tender as much as possible. The in between stem is too hard to consume, hence they must be removed. It needs to be cleanly washed as they would surely have some dust in it. It is best to soak them in water for at least 20 minutes. They are widely and easily available in India and it can be directly taken from the tree if such option is available. However, here in Singapore we can get them only in Little India. Hence I buy them in store them in refrigerator. To preserve this for at least 3 weeks, it is good to remove the stem and store the leaves in an airtight container wrapped in a paper. The leaves must be taken out of refrigerator once in 4 days and must be dried in a newspaper for 20 - 30 minutes. This step is needed as the water would have formed in these leaves. 1. Clean the neem leaves and tear the stem out of it. 2. Pressure cook the sweet potato for just 1 whistle or 5 minutes whichever is earlier. The pressure will take longer time if you put lot of water. 3. Take out, peel & chop them into cubes. 4. Take a non-stick pan, add oil, hing, mustard, urad dhal, red chil & Bengal gram dhal. Fry them well. 5. 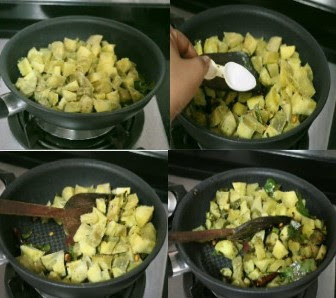 Add the neem leaves and let it fry for 3 – 4 minutes until they turn slightly crispy. 6. Add the chopped sweet potato and salt. Cook well until the sweet potato is fried well. 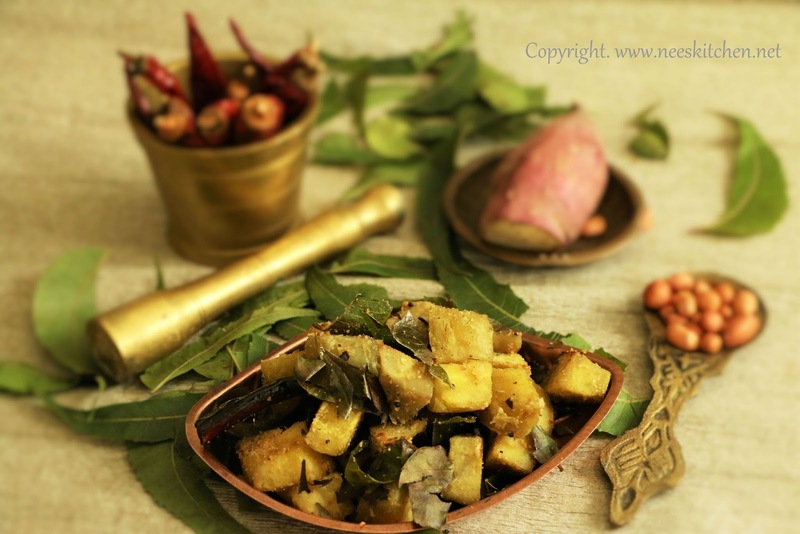 Serve with hot steaming sambar or rasam rice. è The sweet potato must be pressure cooked only as per the timings mentioned above. If they are over cooked they would be mashed like a paste when cooked with neem leaves.